An exploit related to aim down sights spam should be patched. A new controller aim assist bug in Fortnite: Battle Royale will make developer Epic Games tweak this feature in the upcoming v7.40 update, design lead Eric Williamson said. 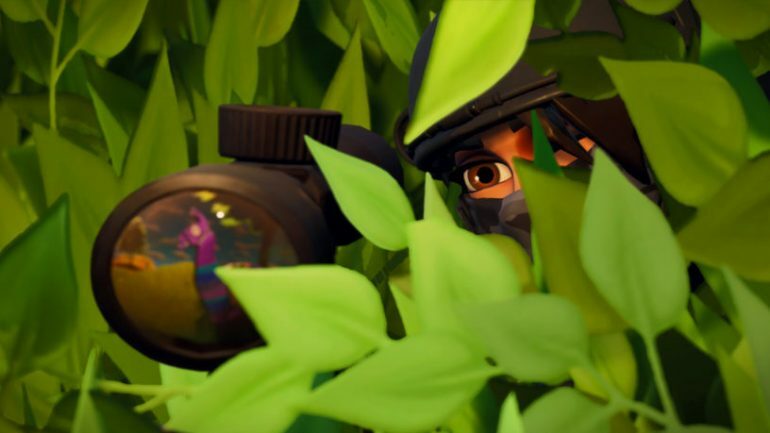 Players have been reporting on social media that an exploit within the aim assist is allowing players to aim perfectly on opponents, even when the user can’t see them. Aiming down sights with weapons such as Assault Rifles and SMGs will make the crosshair automatically move toward an opponent who is close enough to it, making it a built-in aimbot. If a player constantly aims down sights, they can know how the opponent is moving even if they’re hidden behind a Stink Bomb. Fortnite leakers at FNBRLeaks showed off this bug in a video. The intended behavior of aim assist is not exactly this. While it’s made to automatically adjust the aim to hit shots easier on a controller, it should be a very small adjustment. The idea is to make up for the difficulty of aiming with analog sticks in comparison to aiming with a mouse. Triggering aim down sights is not supposed to let players see movements behind smoke and obstacles either. The core of aim assist will remain unchanged. Until then, players will have to deal with the exploit. The best way to counter it until then is to build and stay away from your opponent’s crosshair as much as you can. Trick them into aiming at a spot you’re not on and it should be easy to take them down.